If you’re like me, chances are you’ve bought at least a few of your gifts online this year, hopefully some of my gift guides have helped you out on that! But what do you do when your purchases arrive at the front door, and you have to hide them from whoever they’re for? 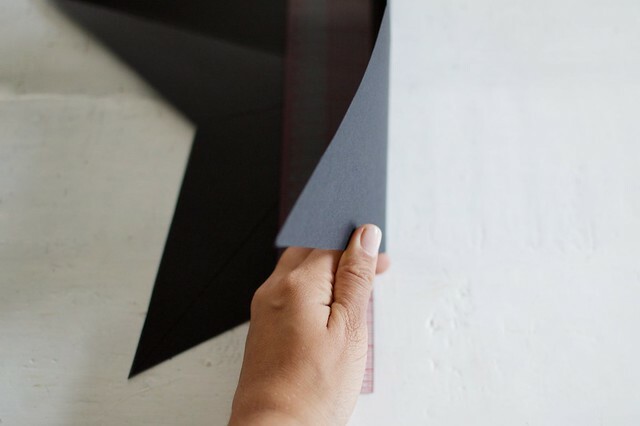 I often opt for the back of the closet or a quick wrap, but more often than not the surprise has been ruined – it’s sometimes a bit hard to disguise a book, candle or pen set. 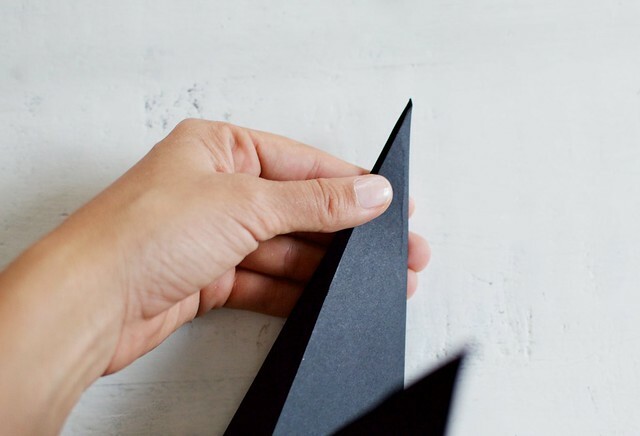 Pssst… Looking for a christmas tree alternative? Check out our DIY string light tree! 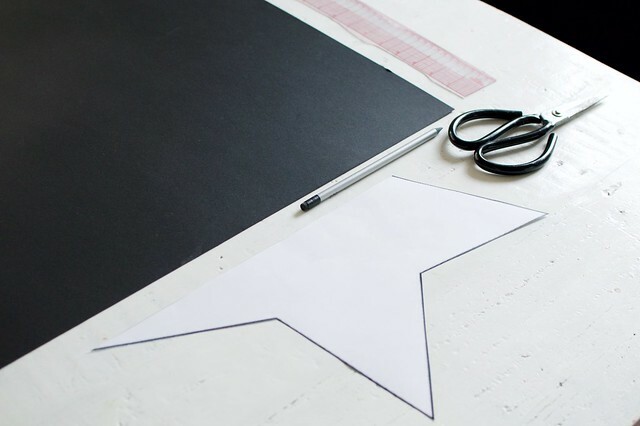 Start by printing off your template in whatever size you want your star. 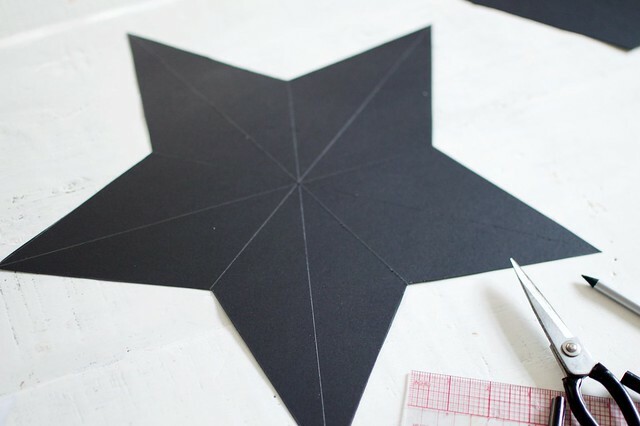 Trace your star template onto the cardboard. 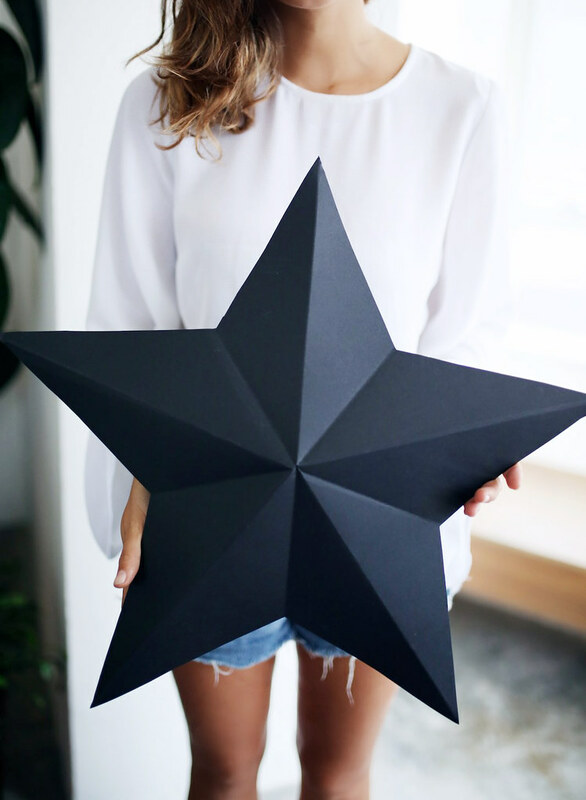 I wanted our stars to be huge so printed half a star template in A3 (it’s the biggest our printer would go) and then flipped the template over to do both sides. 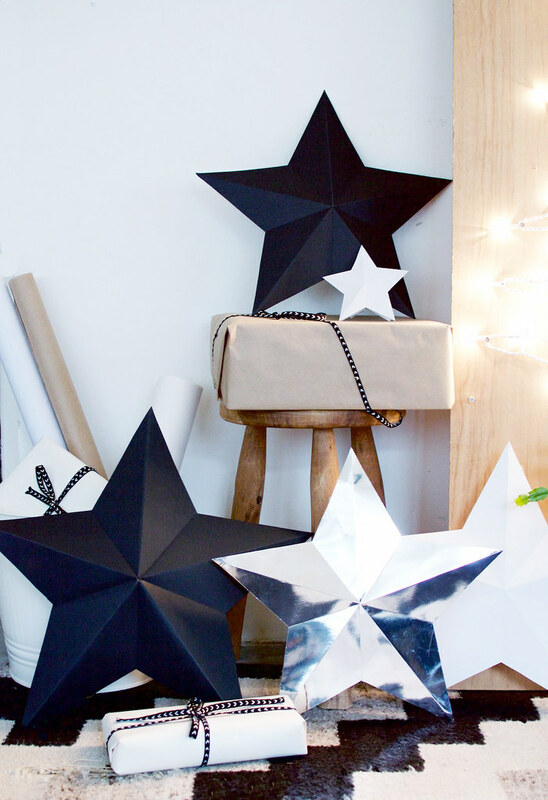 Cut out the cardboard star. 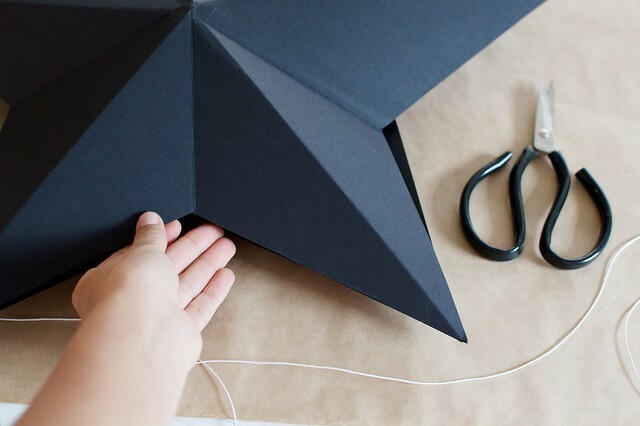 Now you are going to score the lines through the star so the folds are clean and sharp. 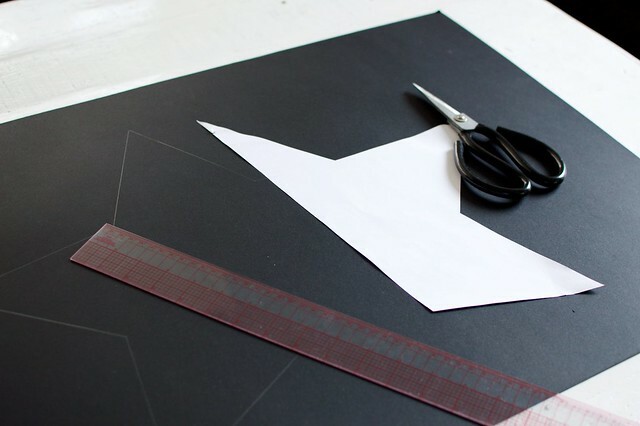 To do this, lay the ruler in the middle of each point, and then open your scissors, and press the blade along the ruler line. Make sure not to cut all the way through. Using the ruler, fold all the score lines. 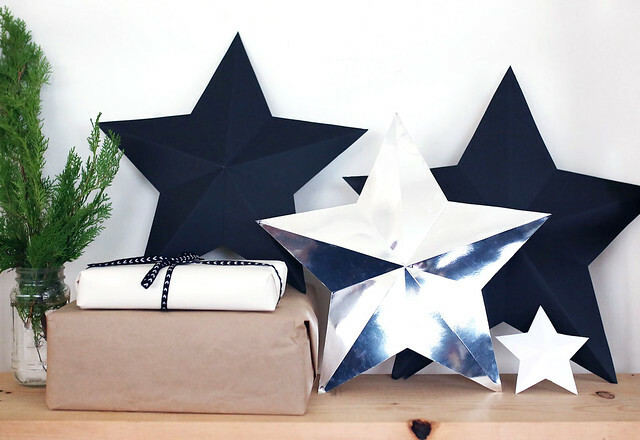 To create the finished star shape, fold the star along the shorter lines, and then pinch the points. Box it up & give! 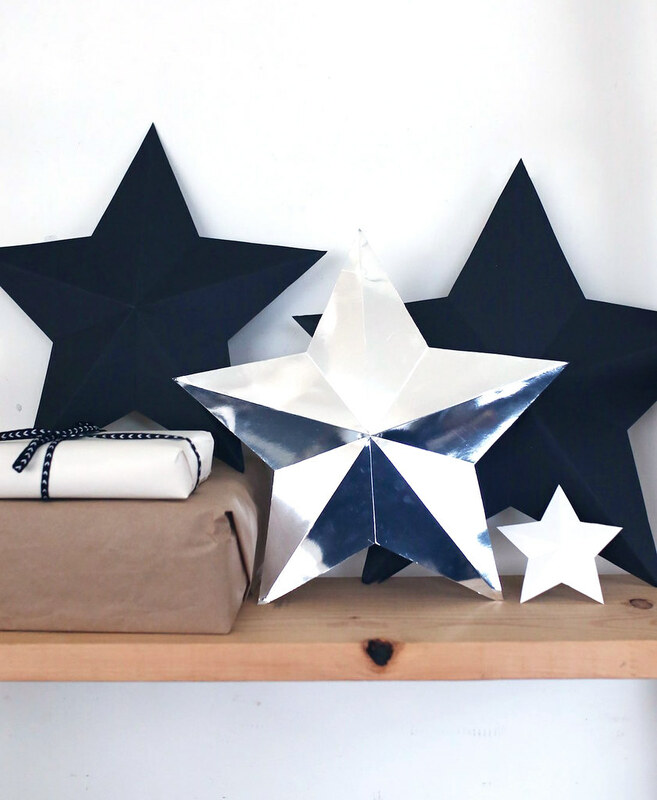 Single stars make great decorations themselves, but these can also be boxes! 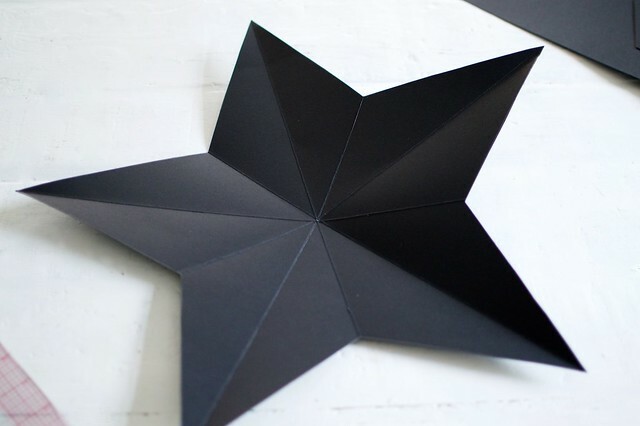 To make a box, all you have to do is create a second star. Once you’ve done that, lay one face down on the table and put your present inside (obviously it can’t be too heavy). 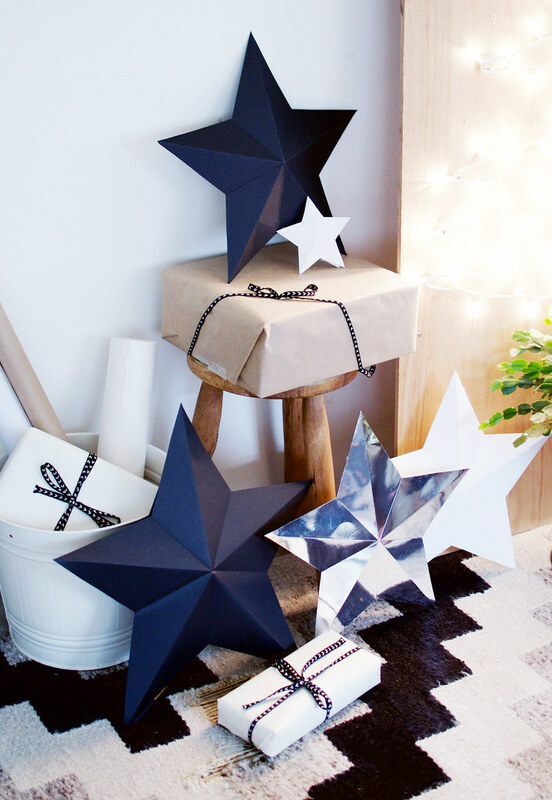 Then, put your second star on top to create the wrap/box. 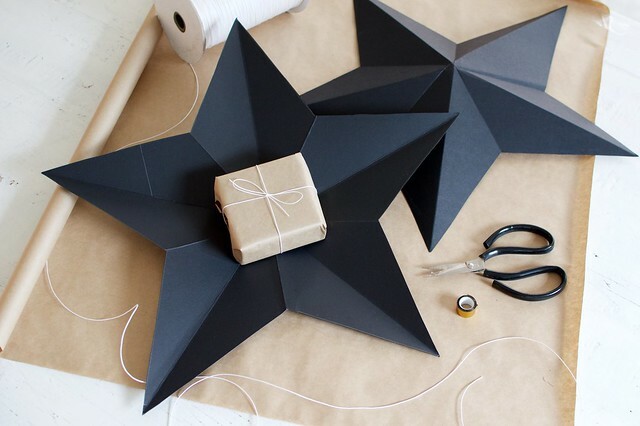 Seal the box by either pressing the edges together and taping them carefully, or (the easy way) tape the edges of the top star to the inside of the star that’s face down. The side with the tape can be placed facing towards the wall to hide the tape. On the big day, the boxes can be opened by ripping the cardboard, or removing the tape if you want to keep your decorations for longer! 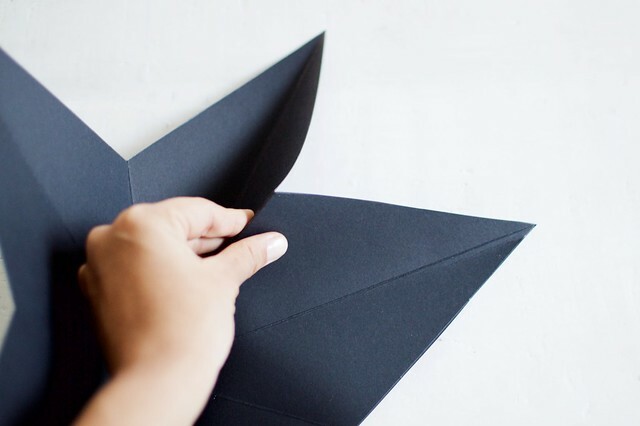 This sort of box is perfect for little gifts like rings or necklaces, it won’t take you long to make a bunch of them and they can even be hung on the tree for even more of a surprise. The best thing about this project is that you’re turning your gift wrap into decorations, which a) means you don’t have to buy or make other decos and b) it’s a pretty sneaky hiding place! If you’re looking for more ways to disguise your presents, make sure to check out Australia Post’s Surprise Disguise page, they have range of products to help you keep Christmas a surprise this year including Parcel Lockers, Parcel Collect and Shop Mate. Because who doesn’t love surprises? This article is sponsored by Australia Post. Go here to find out more about how Aus Post is helping to keep Christmas a surprise this year. 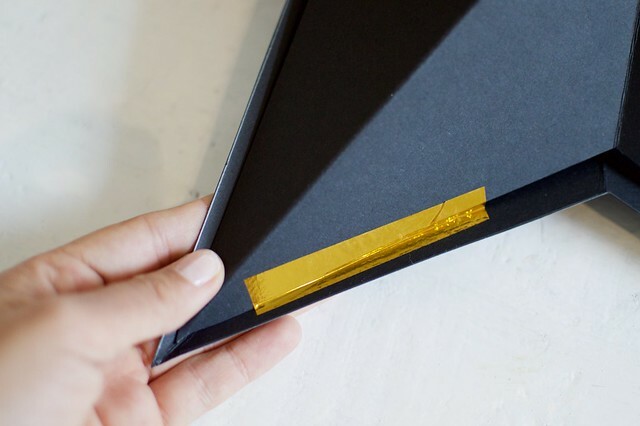 Like this easy giftbox DIY? Pin it on Pinterest!